While working on the Lost in the Shoals album in Muscle Shoals Alabama we stayed at the Holiday Inn in nearby Florence. On this stay we chose to work the night session at the studio. Mr. Las Vegas himself Wayne Newton was making an album during the day session. Up until this point in my life I really hadn’t been exposed to the man or his music much but I was about to get a serious life lesson on what a class act really looks like. The inn was managed by a lovely middle aged couple who reminded me of my own wonderful grandparents. One day as I was walking through the lobby I heard my name being called. I turned to see this couple beckoning me over to the reception area. The couple said that they were huge fans of Mr. Newton and it would mean the world to them if they could meet him. 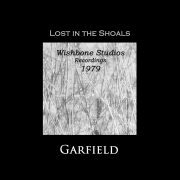 They knew of course that he was recording at Wishbone Studio as was I. I really wasn’t sure how to respond to this request as I had never met him myself. Mumbling a sort of non-committal but will do my best response I excused myself and soon forgot the exchange as I went about my day. A few days later I was sitting in the kitchen at the studio sharing a coffee with another artist John Kay also known as the lead singer of the band Steppenwolf. In the studio at that particular moment Wayne Newton was laying down a vocal track. I think John was discussing working the stage while being almost blind when a staff member popped in to say a little old couple was there asking for me. I looked around the corner too see this couple from the hotel making their way toward me with huge smiles on their faces. I quickly moved to intercept them and make any kind of excuse I could to get them out before I got myself in trouble. They said they were so grateful for this experience and had been to Vegas and seen his show several times. I was at a loss for words when suddenly from behind me the studio control room door opened and out came this big man who happened to be Wayne’s manager. Before I could say a word he came towards us with a huge smile on his face and inquired who these two lovely people were. Within thirty seconds he had guessed what was happening and taken complete control of the situation. He actually thanked them for coming by and invited them inside the control room where he pushed the talk button and informed Wayne who was seated on a stool in front of a microphone that there were special guests here to visit. Wayne smiled that giant welcoming grin of his and asked the couple if they would like to sit and listen as he recorded the next song. They were ushered to the couch and Wayne sang for them. It was amazing. This was the classiest act I had ever or would ever see. It took my breath away. Later I tried to explain to Wayne’s manager what had happened but he just grinned and waved it off. These guys were so damn cool. I’ve met my share of acts but never with the class of Wayne Newton. Great story! Always like hearing about musicians who have time for their fans.